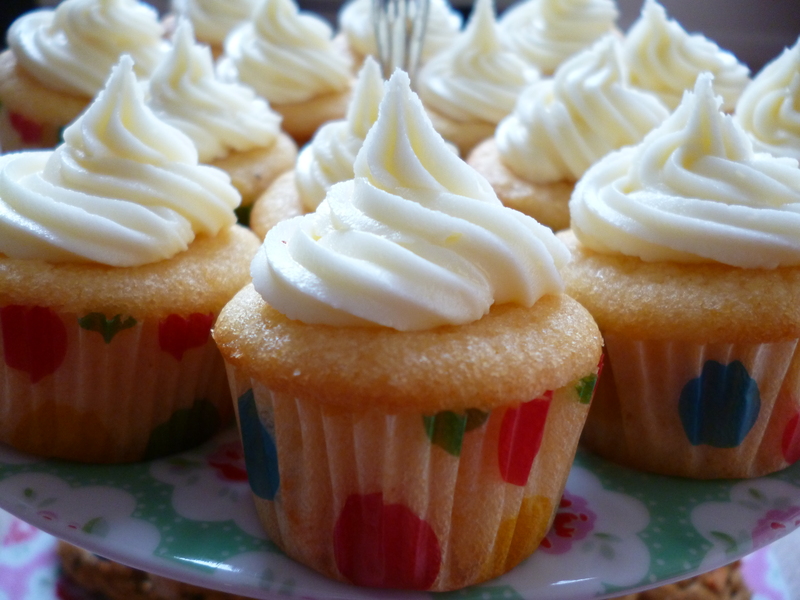 As promised, here are some recipes for the beautiful mini Lemon cupcakes I made last weekend for some beautiful pregnant ladies. Line the muffin tin with the paper cases. Put all the cake ingredients into a bowl, and beat with a spatula until combined and smooth. Spoon the mixture into individual paper cases. I find full 1 tsp for each more than enough for each case. Bake in a preheated oven at 180°C/gas for 20mins or until well risen and light golden brown. Transfer the cakes in their cases to a wire rack, and leave to cool. 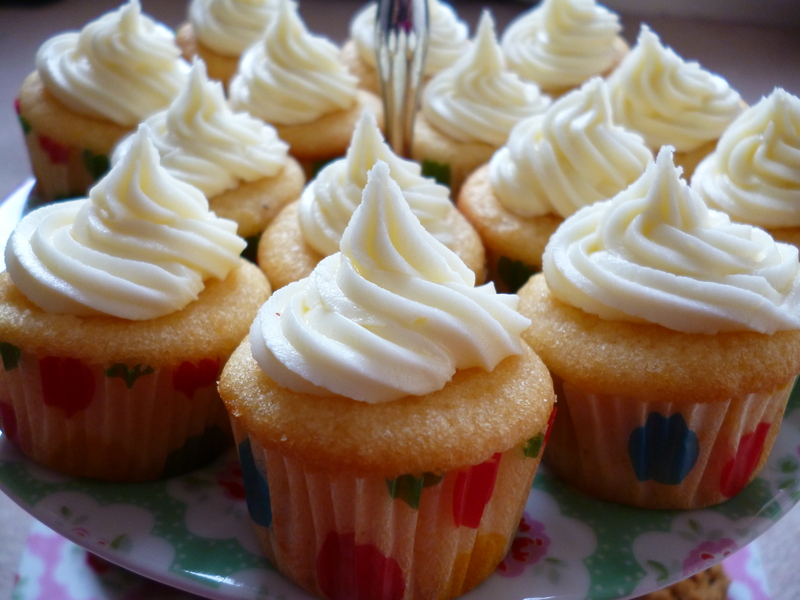 When cooled, prick each cake with a toothpick and spoon 1/4 tsp of lemon coulis on top, then allow it to soak in.